The story of our precious little girl's 17 months of life with Trisomy 18 (July 4, 2010 - December 15, 2011) and of us, re-learning to live "after Lilly." Hi everyone! I know it's been SO LONG since I've posted. 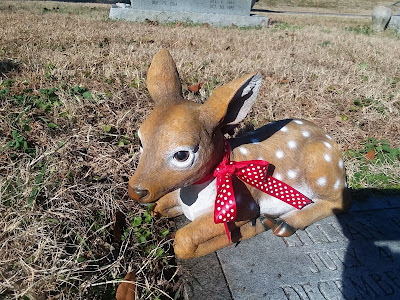 I actually still think of all sorts of things I'd like to write about but we've been dealing with some intense life "roller coasters" within our family for the past few years and I've had to let some things go, even things I love, like blogging. What finally pushed me to take the time to post today is that I wanted to share about the "Warrior MAMA IEP Binder." During Lilly's life, I kept a detailed medical binder with all her information. (I did a short post here about it.) This huge binder was incredibly helpful, time and time again. I always had the info I needed right there while at doctor's appointments or at hospital visits. Medication lists, all her doctors info, notes from her physical therapy and occupational therapy sessions, diet information, printed pertinent emails from case workers, etc. I remember at a couple of Lilly's hospital stays, the nurses commented on just how helpful my binder was and they wished more parents would keep them. At one emergency room visit I was just sort of frozen in horror and was having trouble processing. I handed the doctor and nurse my binder and they quickly got all the info they needed from it and thanked me. I can not emphasize enough how important it is to have a notebook like this when you have children with any kind of special needs. Now I LOVE making notebooks to organize papers in and felt I had everything I needed in mine. But what if you aren't naturally organized and just aren't into that sort of thing? What if you're unsure of what all to put in it? Well you can now buy one that is already put together and full of helpful, guided pages. NOTE: I am not affiliated with this product in any way. I just wanted to share about it because I know how helpful this type of binder is, when you have special needs children. Lisa, of Organize365.com, is the mother of 2 adopted children with special needs and has dealt with everything that comes with that. Doctors, special diets, different schools, therapies, etc. She kept her own binders for her children. Now she has created one that can be purchased. Happy belated 8th birthday, my sweet girl! Wow EIGHT!!! I am so curious about you. What are you like in heaven? I can't wait to see you again one day. I hope you will run to me and give me, what Solomon likes to call, "the biggest lion hug ever!" By the way, your little brother is so looking forward to meeting you one day. He loves looking at pictures of you and sometimes wishes he could be in some of them. Let's see, this is your first birthday in 6 years that we did not have our traditional Lilly's Birthday aka July 4th Celebration. But have no doubt, we all remembered you on your day. Just as we do every day. During your birthday week, Tabby and I were at a church camp in Virginia. It was the first camp that either of us have ever been too. Though I missed getting to come to your grave, I did share your picture with several people at camp and told them about your birthday. They were very kind. Tabby told some of the campers about you too. The boys and your Dad were planning to carry on your celebration by attending the parade and fireworks however something else happened. Hunter came down with the chicken pox! He had a fever and was all spotty and itchy. There was no way he felt like going out anywhere. But the boys and Dad did set off some fireworks at home. Did you see them? 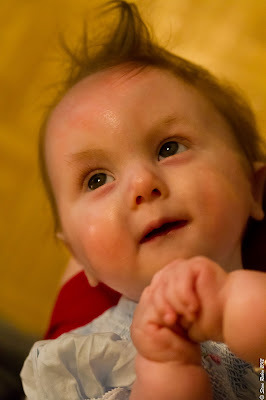 About two weeks later Hunter was all better but then ... Solomon came down with the chicken pox! So we put off going to the store to buy balloons for you once again. However, Solomon did argue that even boys with chicken pox were still able to eat birthday cake! So your siblings all voted on cupcakes for this year. We imagined red-white-blue ones. But when I went to the store, I realized oops! With July 4th passed, there were no longer "Lilly colored" desserts out. I know I could have made something at home, but there was too much going on. So I bought these cupcakes and they were very yummy! For your birthday present this year, I bought you a set of red/white/blue bottle brush trees. I have a bit of an obsession with them. I never did share a picture of your last year's Christmas present on your blog, so I will do that now. I just love the work of Polish artist Amelia. (Etsy shop: inameliart ) I have bought several prints from her over the past year. Last year she had 2 that made me think of you! One is a little girl that wears red-white-blue! Amelia told me her husband said that she had painted an "American girl." (They live in Poland.) She sure did! She painted my Lilly girl. 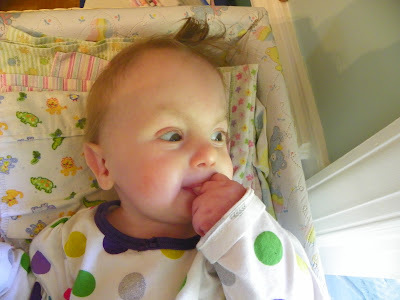 I told Amelia about you and your story touched her deeply. She is such a sweet and talented artist. The other print I bought is an angel girl holding a bunny. So I feel I have my 4th of July Lilly girl and my angel Lilly girl. They are so special to me! Last week we bought your birthday balloons at the dollar store. But every time we thought about sending them up to you, someone wasn't feeling good, or it was raining, or something was wrong with the timing. But finally! This morning, in between rain showers, we hurried outside to let your balloons go. This is the first time we did this at home, instead of at your grave. But that's OK. You know we love you anywhere we are. 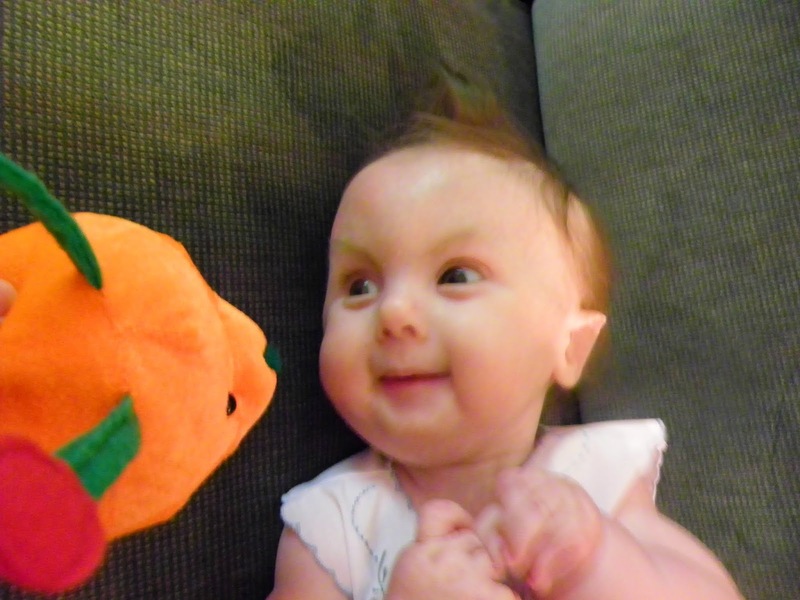 At first we were going to release them by Solomon's big pumpkin patch. But it got windy all the sudden. So we went out by the road and let the balloons go over the cow pasture across the street. They all went up up up! No tangling in trees. I watched them until they disappeared. I thought about you and how much your short life of 17 months blessed me and stretched me beyond what I thought I was capable of. What a gift from God you were and I thanked Him all over again for you. We all love you, Lilly-girl, forever and ever!! Lilly's Pulse Ox is in ... Honduras! "A family in the USA unfortunately suffered the loss of a child. As they sorted their child's belongings, they decided to donate a few items to our work in Honduras. Little did they know the difference it would make! Donations were given to the maternity public clinic in Santa Cruz. Shortly after receiving the donation, the one nurse asked to be excused to use the oximeter on a baby they were monitoring that day. The Staff told them they were using an oximeter designed for adults and we [are] extremely grateful for the gift!" Good job Miss Lilly! You're still blessing others! 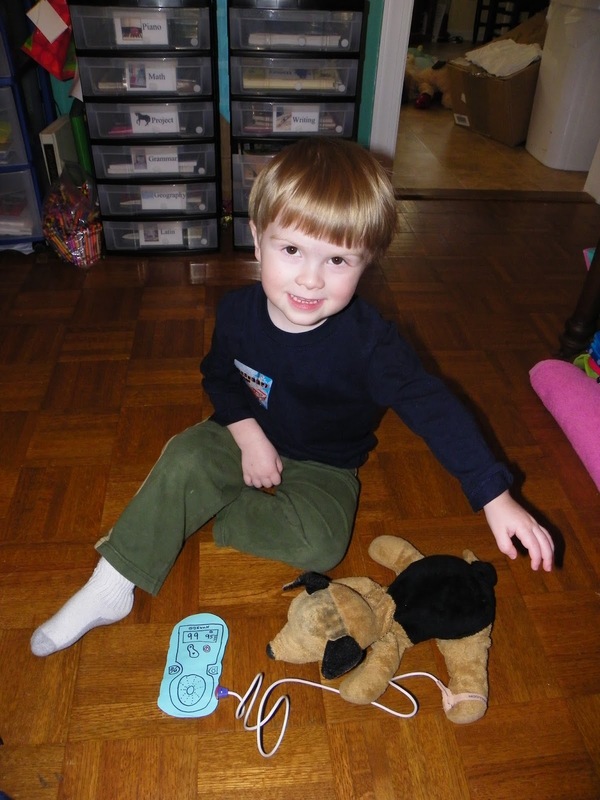 Just for laughs, here is an old photo of Hunter (he was 3). He was so enamored with Lilly's pulse ox that he had me help him make one for his dog Sam. I was so glad to get to bring your Christmas tree Friday. December 15th ... your Angelversary. The events of that day in 2011 forever burned into my mind. Your old Christmas tree had finally fallen apart. Mom Jenny gave me this artificial tree branch and I picked out some ornaments at Walmart to put on it. I think it turned out nice. Red white and blue - for my July 4th baby! I really liked how the red glittery bows sparkled in the sunshine. Beautiful! Though not as beautiful as you of course. Do you like your new cherub? It was time to replace your original one. It was cracked badly and parts were gone. 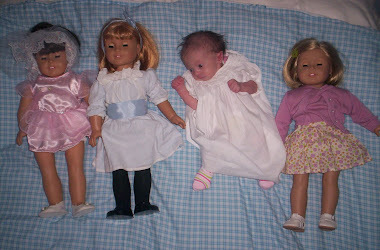 It is not easy picking out a new cherub! I looked on Amazon and the choices were overwhelming! I felt so frustrated because I wanted you to have the perfect one. Just when I felt like giving up, I saw it! I just knew that was THE ONE! As usual I'm anxious to hurry and get through December. I'm looking forward to the new year and what always feels like a fresh start January 1st. So many things in life have spiraled out of control since you died. But we're picking up the pieces and healing. It sure can be a slow, confusing journey. But I am blessed to have HOPE. Happy heavenly 7th birthday Lilly! "Mama - just what is this crazy outfit you have on me?!" Letters usually start with a "how are you?" But wouldn't that be rather silly for me to start your birthday letter that way? After all - I know that you are perfect, whole, and full of joy! You have everything that those of us still on earth long for! And that makes me SO happy for you. So instead I will get to the point: HAPPY BIRTHDAY LILLY!!!!! Yes today is birthday number 7 for you. Amazing! I sometimes wonder what it would be like to have a 7 year old little girl running around the house. But I know that wasn't God's plan for you. You packed a whole lot of living into 17 months. 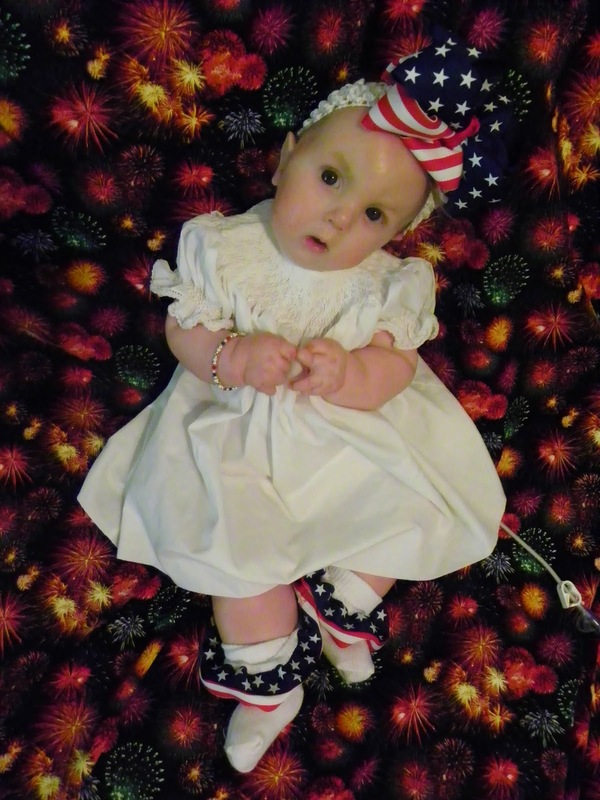 You definitely lived up to your nickname of "Little Firecracker!" Your little brother Solomon loves to hear stories about you and ask questions about you. He is super into all things holiday. 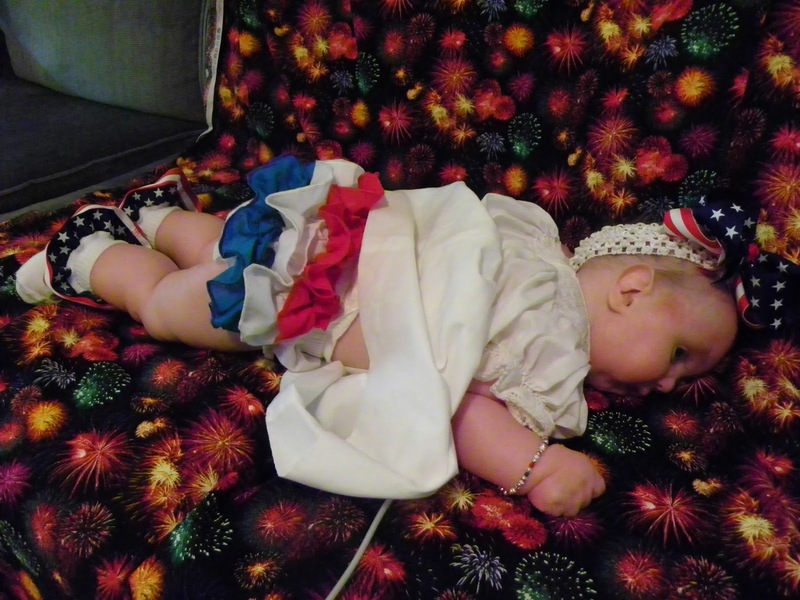 Lilly's birthday/Independence Day is no exception. He delights in the Lilly-colored decorations all over the house and in the stores. He made special star shaped chocolate lollipops for Tabby and her friends to eat, in memory of your birthday. 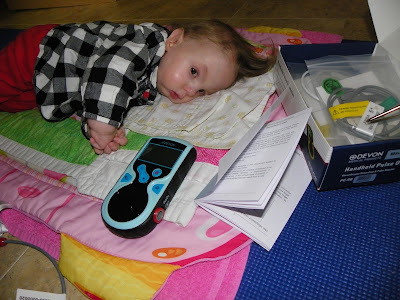 Big brother Hunter seems to remain just as interested in hearing stories about your medical equipment as he does you. You know that's just how his brain works! Yep - engineer boy. Do you remember how he was only 2 years old and helping me operate your milk pump, oxygen, and pulse ox? And nebulizer ... etc. And Tabby. She remains as fiercely proud of you as ever. And still hurts having lost her special little sister. Speaking of stores, your siblings and I were at Walmart a few days ago. Tabby and I stopped in front of the red/white/blue clothing for little girls. Tabby pointed out an outfit that she would have loved to get for you. I pointed out the ones that I thought you'd look adorable in. There were several "awwwww" moments before we could move on. 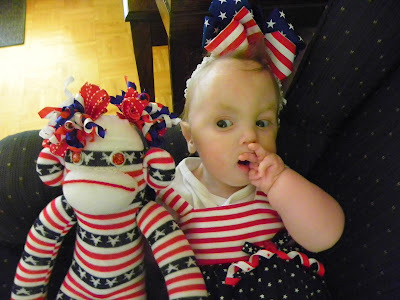 And that got me to remembering how when you turned 1 year old, I had a collection of red/white/blue clothing for you to wear. You had many days of celebrating in your colors! Shall I remind you of some? I guess you should have had a special red/white/blue outfit to wear home from the hospital on the day you were born. Only I had no idea you were going to be born on the 4th of July! You were due on June 17th. Oh well! Well my Lilly girl, I've got go now. We've got some celebrating to do. We'll be sending your birthday balloons up to you later! Your brothers and I were talking at dinner tonight - wondering whether or not you ever get to peek down on us on earth. If you do, then you know why I didn't write to you last Thursday. On your 5th "angelversary." I'm not going to mislead you Lilly. This year has been hard. REALLY hard. 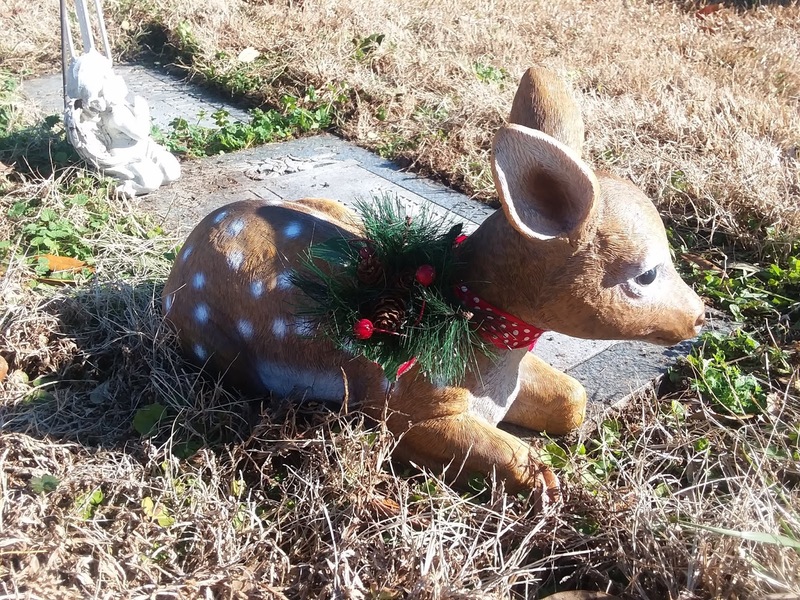 Hunter says it's been our worst year since you died. Maybe you know what's going on. But if not, I don't want to tell you and give you sadness because remember - "NO tears in heaven!" It will be OK though. I have the two most important things in life: Jesus and Hope. Last Monday I was coming home from an evening appointment and the alternator in the little old car I was driving died. It was so dark outside but thankfully I finally made it home safely. When I got home I found that my 5 month old laptop had died. Your Uncle Patrick looked at it for me but there wasn't a quick fix. And your sister had 6 appointments last week so I didn't have time to follow up on warranty stuff yet. And that is why I didn't blog on your Angelversary. Here I am now though. I gave in and bought another laptop - at a fantastic price. Figure the way my luck runs with computers, it's great to have backup. It was a bit weird in a way, that December 15 was on a Thursday this year. Just like 2011 - the year you died. This was the first time and well, it just was sort of unsettling. I will always remember starting to pick you up from your nap that evening, and finding you dead. Something so horrific for me yet such a blessing for you. How can something be so contradictory? And I am thankful, that most of the time, I only have good memories of you. Of your smile, of how you loved to talk to us - and to ceiling fans! Of your curiosity whenever we went anywhere. Of how you liked to watch Tabby and Hunter. Of how much you loved working hard in your therapy sessions. Of how you liked chocolate! And playing with dried beans. Of the time when you pushed and scooted across the floor. 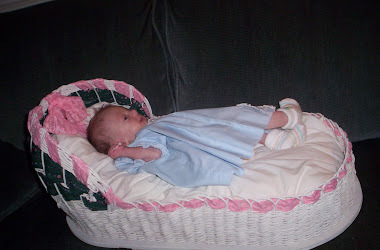 Of how you were almost able to sit up on your own. Of how, on the day you died, you had such a good day! The boys and I were talking about a bunch of the pictures on your photo collage tonight at dinner. It's the one I made for your viewing and funeral. I love that we have it in the dining room and we can look at it. Solomon is fascinated with hearing about you and likes to ask questions about you. Hunter was pointing out all the photos he was in with you. Lilly - he still likes machines! Remember how fascinated he was by all your medical equipment? He was only 2 and 3 years old then but he understood how to run them! This just made Hunter and I laugh - here he is with Sam hooked up to a pulse ox that looked similar to yours! On the 15th your siblings and I went out together. Because of Tabby's health situation I didn't want to go to your grave. You understand. We went to the store and bought pansies to put in your little memorial garden we have here. Pansies. I know. I have expanded my flower choices for you. At first I would only allow lilies in your garden. But then I realized it would look prettier and be more honoring of you to have pretty flowers in their all year long. So you now have pansies. Then in the late winter you will have daffodils popping up. Pretty! Though not as pretty as you were! 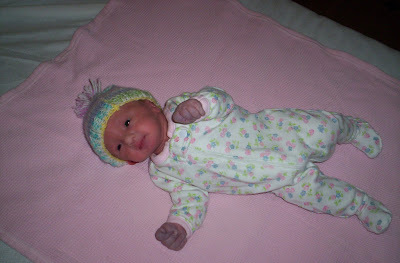 Mommy loves you forever Lilly, and one day I will see you again! Until then, the Lord will continue to be with us both. Give Blueberry a hug for me Lilly. I'm glad you two have each other. I'm sorry I haven't posted more recently. Things are just difficult and busy at home. Tabby has had some good days though. 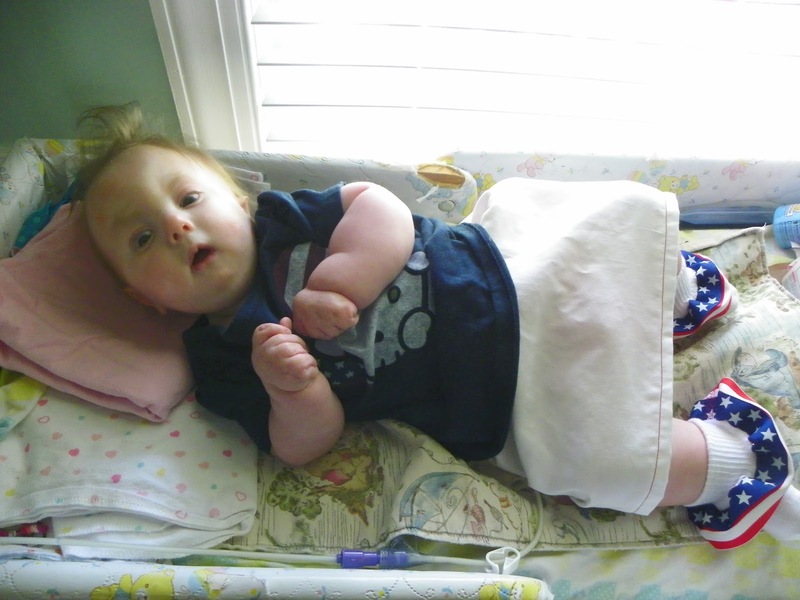 Solomon, though better overall, had a stomach ache and threw up several times yesterday. Hunter's beloved hen Kelly was killed last Sunday. He is still sad and also is really struggling with a lot of worries about Tabby. Tis the season to be ... ???? I've been making it a game for myself to think of things to be thankful for. I was also pleased to make my 745th entry into my thankful journal this morning. One day the light will shine again. Though honestly it may be awhile. Even in normal years, in the weeks approaching December 15th - Lilly's angelversary - are not my favorite days. Well I suppose that was not a cheery beginning for a blog post. However, my actual blog post IS cheerful. It is a beautiful story of healing for a woman named Katherine. Katherine contacted me earlier this month and wondered if I would share her story of healing from Mesothelioma. I have blogged about this cancer caused by asbestos once before here. I have been impressed with the initiative that survivors of this cancer take in spreading awareness. (I have been contacted by a couple other survivors, through my blog, over the years.) I have been thinking that those of us in the Trisomy 18 world might could learn some awareness spreading tips from these people. Katherine Keys has been fighting Mesothelioma for 9 years. If you don’t know, mesothelioma is a cancer caused by asbestos exposure. When she was first diagnosed doctors told her she had less than 2 years. 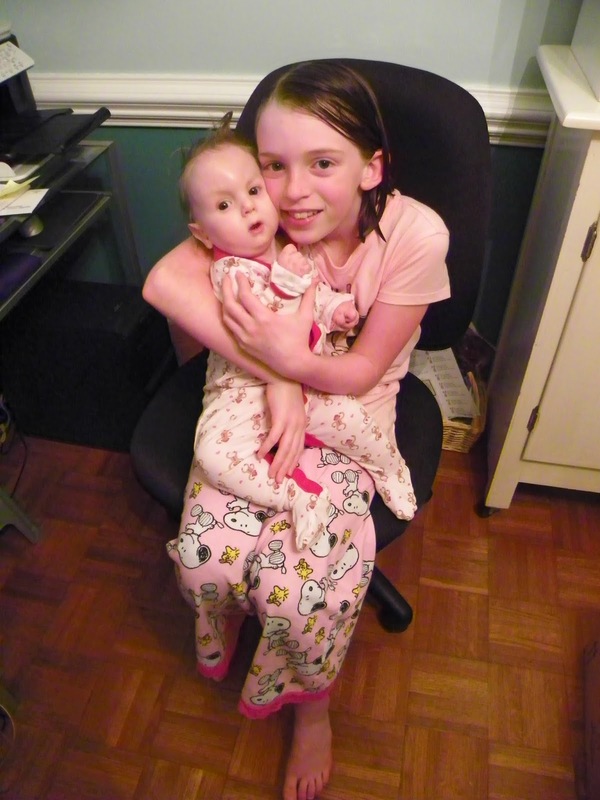 Katherine refused to believe her time was limited and instead decided to fight the cancer. Katherine is convinced that it was her positive attitude and determination to win that has allowed her to survive against the odds. At first Katherine thought she had the flu. She was prescribed medication and painkillers but the pain persisted. When the pain was too much to take, Katherine went to the ER, it was there that she discovered she had cancer. Katherine was 49 years old when she was diagnosed with Stage 1 pleural Mesothelioma. For treatment, Katherine had her right lung and the lining of the lung removed, a major surgical procedure called extrapleural pneumonectomy (EPP). After several months of recovery, Katherine began radiation treatments. She had treatments five times per week for several months. Although she had been scheduled for chemotherapy treatments, she was relieved to learn that she didn’t have to have them. Upon completing her treatments, Katherine attended her regularly scheduled follow-up appointments. At first, they were monthly, then every two months, three months, six months…and now annually. Her follow-up appointments typically consistent of blood tests, a PET scan, x-rays and other tests to confirm that she is still cancer-free. Today, Katherine feels blessed to be able to spend time with her family and share her story with other people living with mesothelioma. 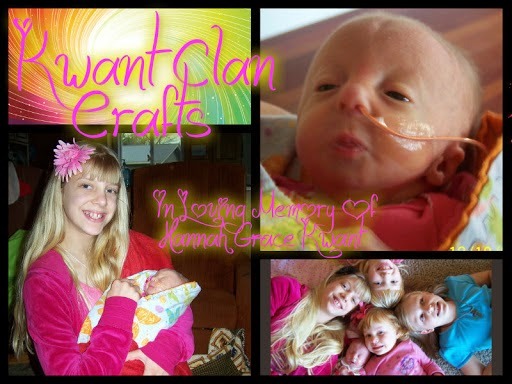 While she has been through a lot and is still challenged by physical pain and limitations after having a lung removed, Katherine sees every day as a gift. 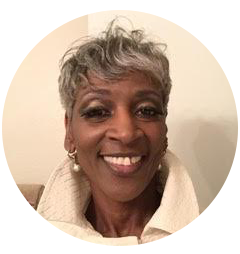 She hopes her story brings resilience and positivity to people living with mesothelioma. I was exposed from years of wiring work for Texas Power and Light Company. Asbestos was a commonly used material in construction up until the 1980’s because of it’s fire resistant characteristic. Some of the materials that contained asbestos include wire insulation, vinyl floor tiles, paint, ceiling tiles, wall insulation, cement, window caulk, and much more. Sometimes tearing out some of these things is necessary. This can release toxic asbestos dust into the air. 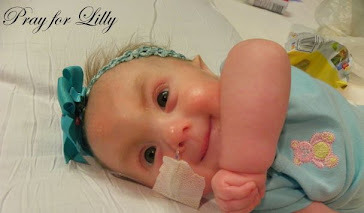 Support The Lilly Memorial Project with your amazon.com purchases! Click below to shop. 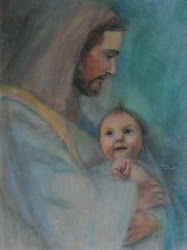 This beautiful pastel portrait of Jesus holding our Lilly was done by Aimee Cuthrell. Click the picture to go directly to Aimee's website. 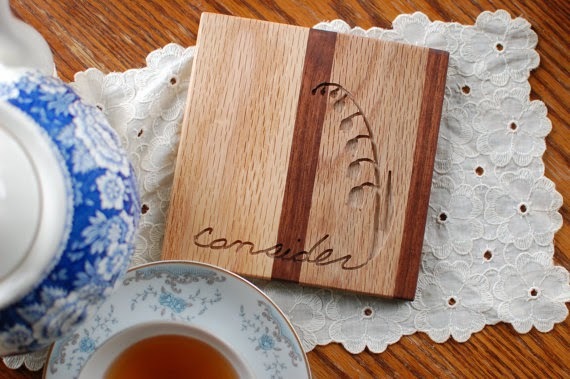 This "consider the lilies" trivet was created in honor of Lilly. It is handmade and heirloom quality. Made by a dear friend and her husband, the owners of Haven Enterprises. They also make and sell a variety of wood working items, engraved with scripture. Click on the picture to visit their Etsy shop. To get $10 off My Memories Suite, a digitial scrapbooking software program, click on the above picture. Use this code at checkout: STMMMS89191 . (My original post about this software is dated 5/30/12.) Enjoy! 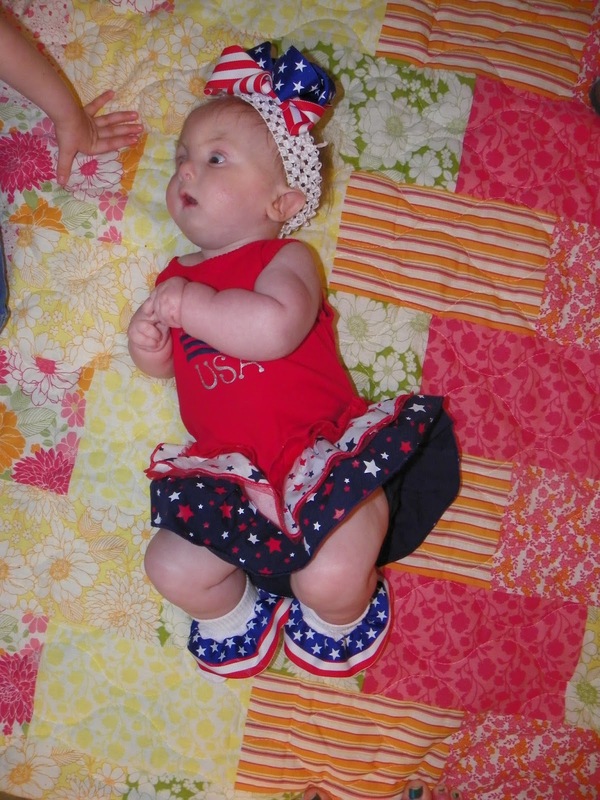 Our daughter Lilly was born on July 4 -Independence Day - 2010 and had Trisomy 18 (Edwards Syndrome), a chromosomal disorder. 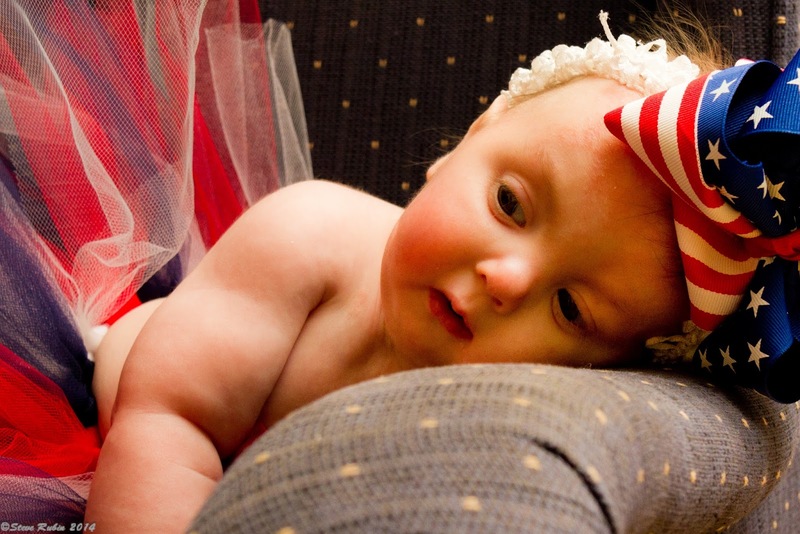 Only 5-10% of children born with Trisomy 18 live to see their 1st birthday. We were blessed to see Lilly celebrate her 1st birthday and then live another 5 months. 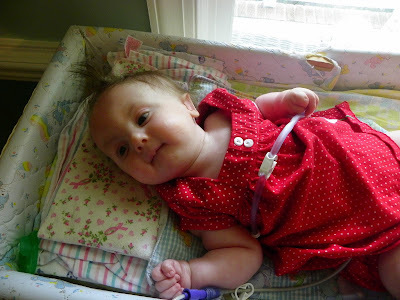 The purpose of this blog was initially to share Lilly's current condition with our family, friends, and the many others that were praying for Lilly. 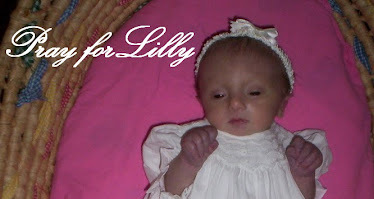 Lilly left this earth to be with Jesus the evening of December 15, 2011. We will always love and miss Lilly! 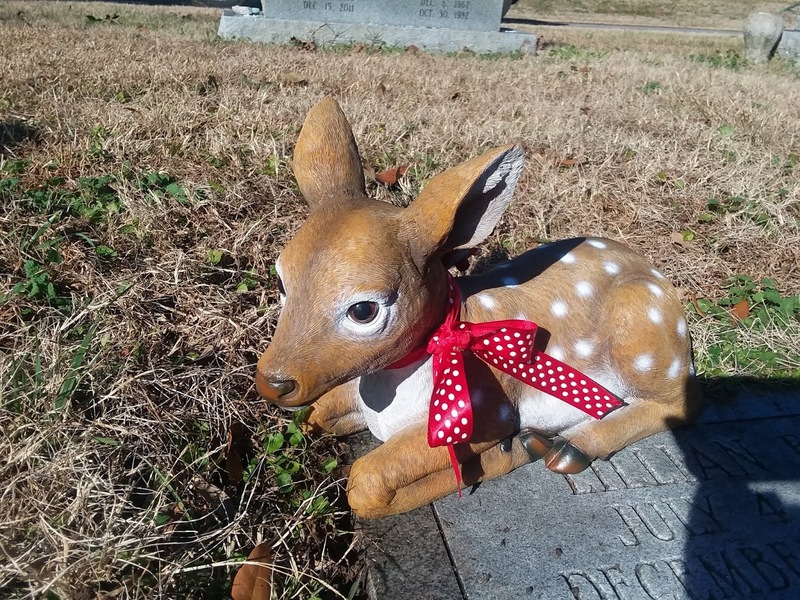 I have continued this blog to write about us, as we learn to pick up the pieces, work through grief, and continue to live and share about Lilly. 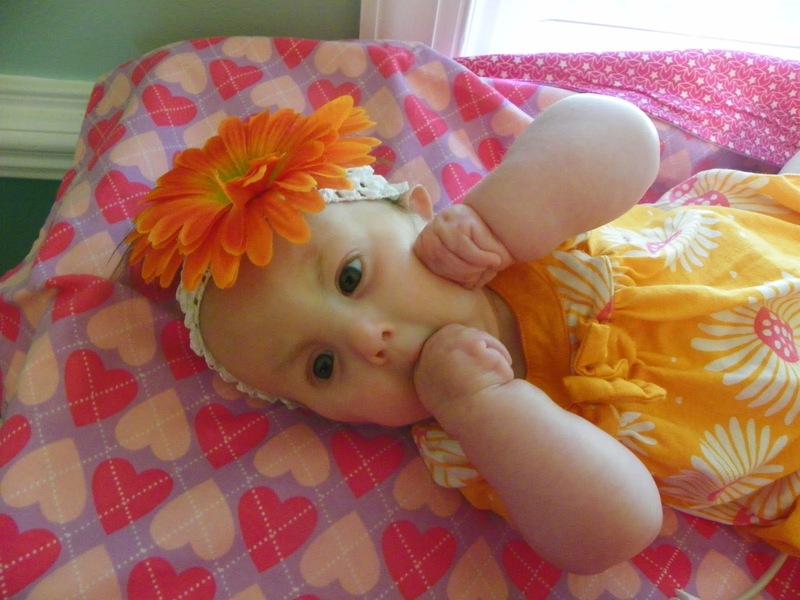 The mother of Henry, a little angel baby who had Trisomy 18, has designed a line of special Remembrance Necklaces. They can be found under the women's Necklaces Section in her Etsy shop. (Click on the picture enter her Etsy shop.) It is her hope that one of her designs will offer comfort and hope to Mothers who have been through the loss of a child. She also does custom designs. She has made some beautiful, high quality necklaces and bracelets for Lilly, T., and me. 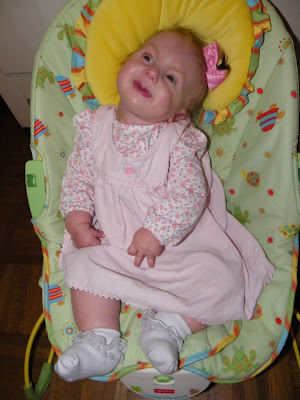 "Care of the Infant and Child with Trisomy 18 or Trisomy 13"
Everyday that Lilly lives is another blessing from God. But then isn't that true for every one of us? Photos on this website may not be copied without permission.. Ethereal theme. Powered by Blogger.